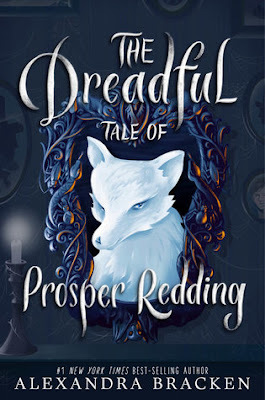 Summary from Goodreads: "I would say it's a pleasure to meet thee, Prosperity Oceanus Redding, but truly, I only anticipate the delights of destroying thy happiness." Review: What a creepy little novel. I really liked the story on this one. Prosper has a demon living inside of him because of a broken deal that an ancestor made 300 years ago. 12 year old Prosper is a most interesting child. His character is well developed and you can't help but love the kid. The world building was a little bland, something I had seen before, but not boring. I gave the book a three stars and think that people will love this little read around Halloween.